Brits may have to pay roaming charges when they go abroad with their phones again after Brexit. The fees were banned by the EU, but once Britain leaves those rules will no longer apply to British phone contracts. The UK government says it wants to work out a deal with the EU on the issue – but it’s no guarantee. Britain’s looming exit from the European Union may mean that Brits will have to pay exorbitant roaming charges to use their phones elsewhere in Europe again. Last week, Theresa May confirmed Brexit will also entail leaving the European Union’s Digital Single Market – and this means Brits will no longer benefit from EU rules banning roaming charges throughout the political and economic union. In other words: The UK government seems to want to strike a deal that would keep the roaming charge ban, but it’s by no means guaranteed, and depends on the outcome of Brexit negotiations. 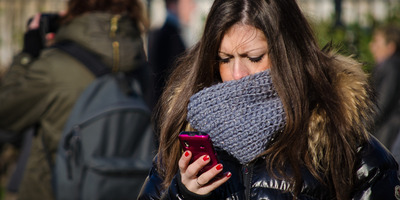 Historically, phone contracts have often stipulated extremely steep charges if customers use their devices outside of their home countries – often paying multiple pounds/dollars/euros per megabyte of data, and similarly high prices for texts and calls.But from June 2017, the EU banned these roaming charges for Europeans, meaning they can use their phone anywhere on the continent for the same price as they would at home. There have been expectations that Brexit might cause the return of roaming charges for a while. In February 2017, a European Parliament committee that helped formulate the rules warned of the need for “transitional arrangements” to avoid their resurgence. That return is now looking more and more likely.